Halloween gives children and adults the chance to put on a costume and play with another persona for a few hours. (Plus, candy!) I wear a costume to open the door and give out candy to the kiddos in my neighborhood. A few years back, I dressed as a brunette Buffy the Vampire Slayer. 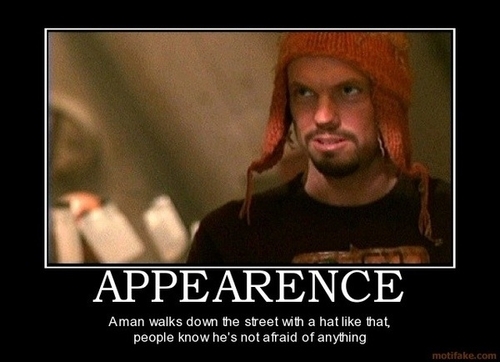 This year, I’ll be answering the door as Jayne Cobb, the Hero of Canton from the TV show Firefly. 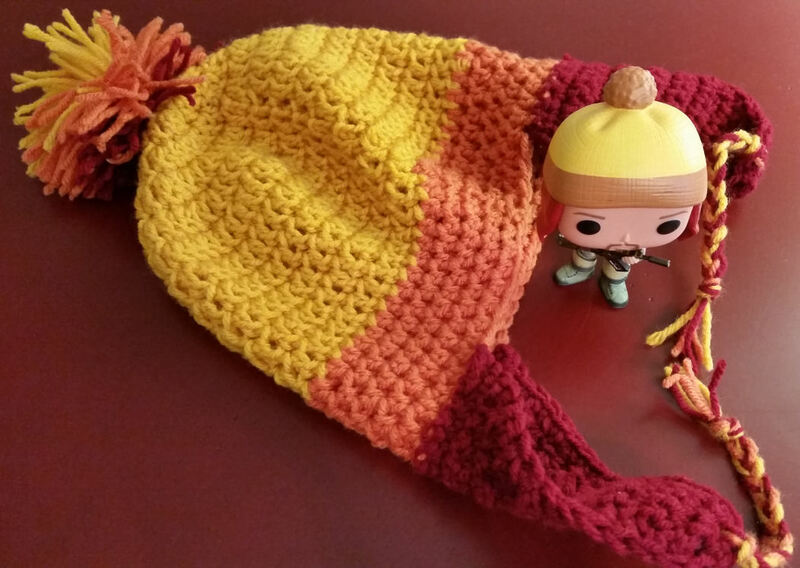 Jayne’s hat was hand knit by his mother, but I crocheted my Jayne hat. Below, I’ll give you all the resources I used to create this awesomeness. Basic earflap hat crochet pattern. I modified this free pattern from Ravelry.com. 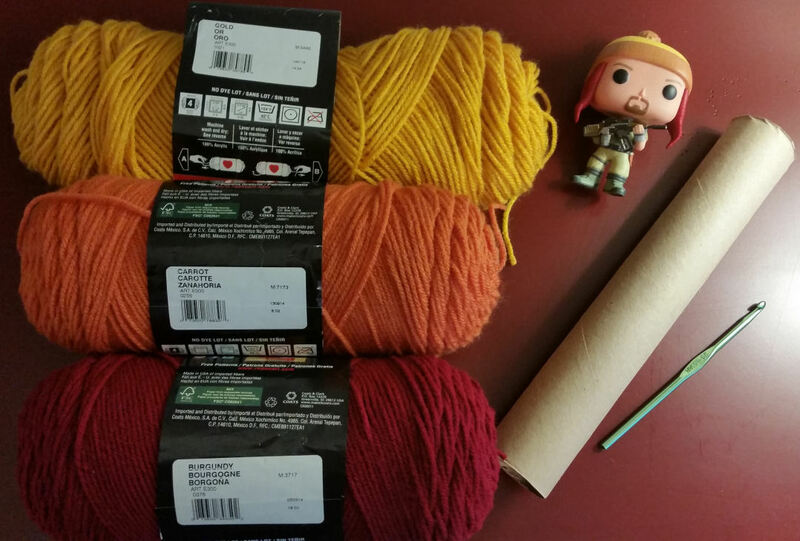 Yellow, orange, and red worsted weight yarn. I used Red Heart Super Saver in Gold, Carrot, and Burgundy. I used hdc for the orange section. That’s the part that actually covers my ears, and I hate wind blowing through a hat! I may go as Jayne again this year. Tee hee… Or maybe Carol from the Walking Dead. My husband got the Jayne Cobb Loot Crate and whenever he wears the T shirt there is just some manly magnetism about him that I can’t quite describe. Of course there is! He’s channeling the Hero of Canton! This pattern doesn’t give the measurements of the colors. I’m sorry about that. I just eyeballed it and added the colors where I thought they’d look best. I hope you can find another pattern with more thorough directions. ○ Click here for an exciting legal disclaimer. Spoiler Alert: This blog contains affiliate links. All truly great thoughts are conceived by walking.